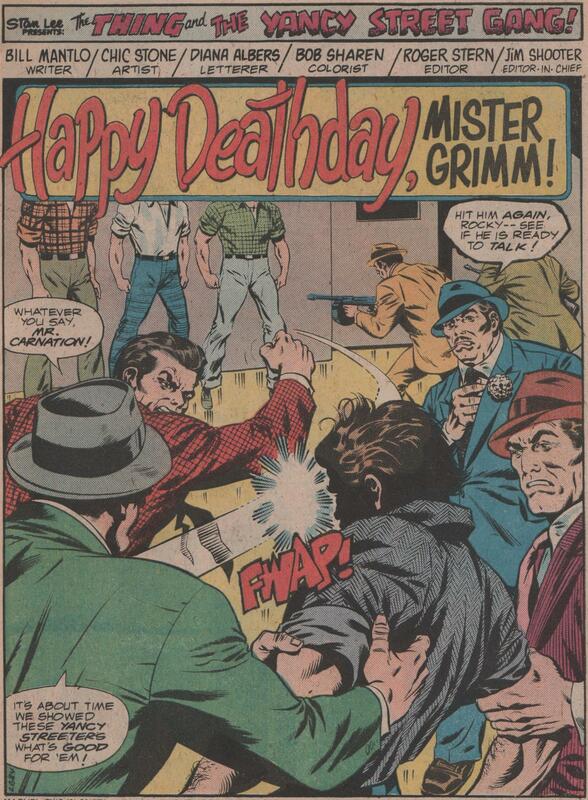 Marvel Two-in-One #47, 1978 “Happy Deathday, Mister Grimm” | Magazines and Monsters! 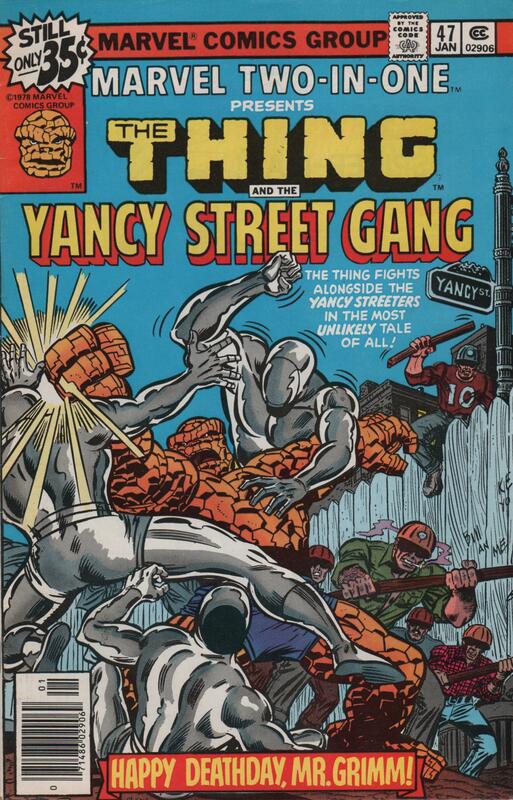 As we all know, the Yancy Street Gang is usually the type to tease, heckle, and even try to injure their former friend, Ben Grimm. 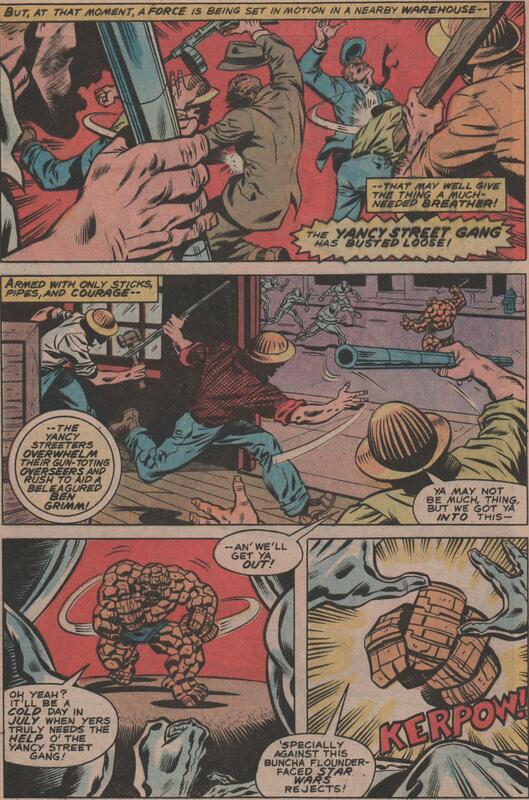 But in this issue, they actually lend a hand in helping the Thing defeat the menace of the Machinesmith! 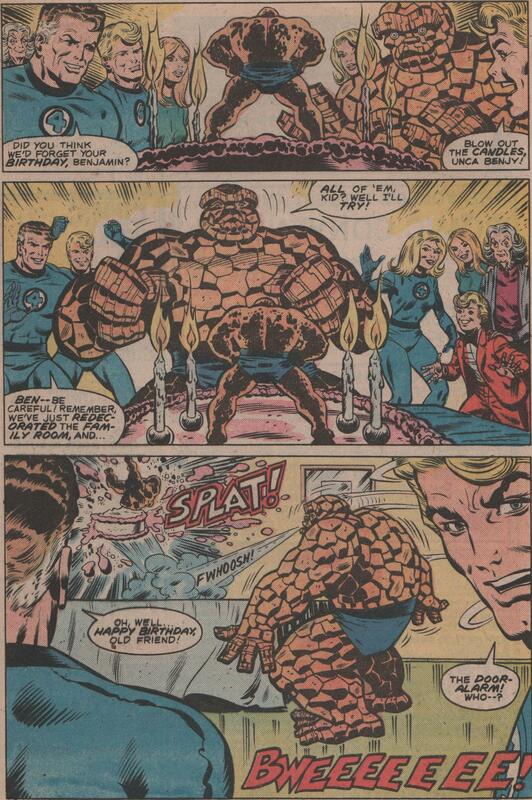 Well, the issue in question doesn’t actually hold good tidings by the end for Mr. Grimm, but I can tell you that there are gangsters, and a game played between the members of the FF, including Agatha Harkness, and Franklin Richards. Also, a special appearance by that loveable letter carrier, Willie Lumpkin! 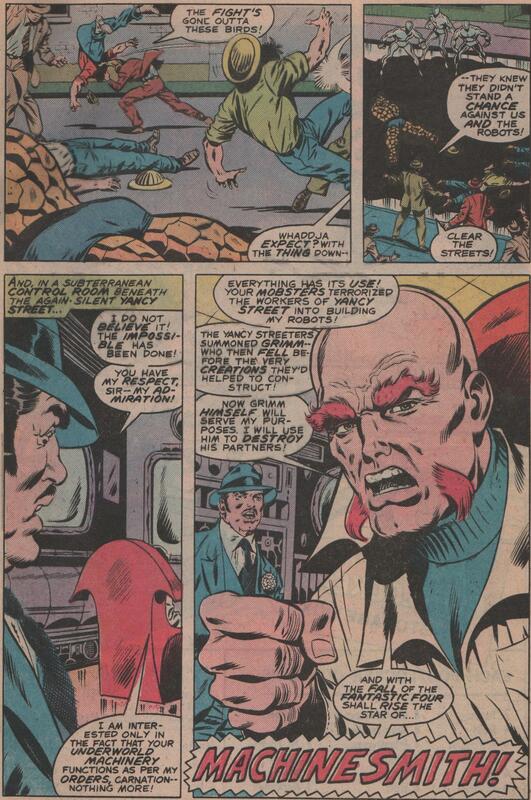 With a great story by the incomparable Bill Mantlo, pencils and inks by Chic Stone (great inker, and incredibly underrated penciler- just look at this issue! 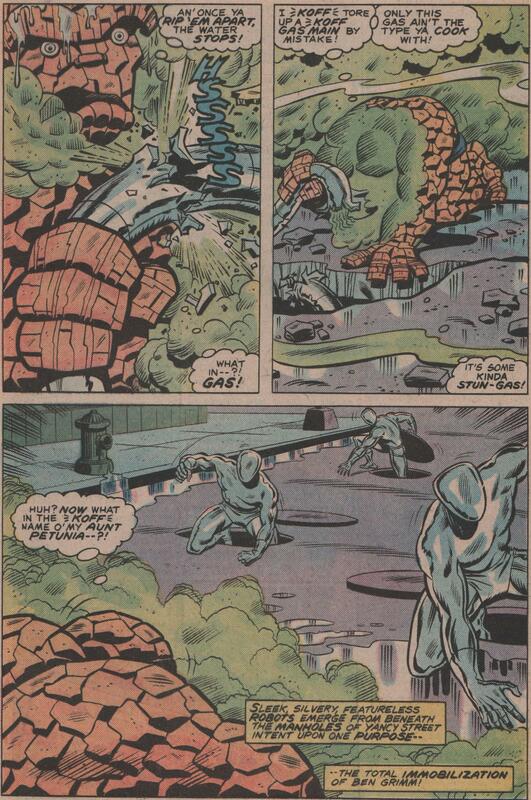 ), colors by Bob Sharen, letters by Diana Albers and Gaspar, and edited by Roger Stern! 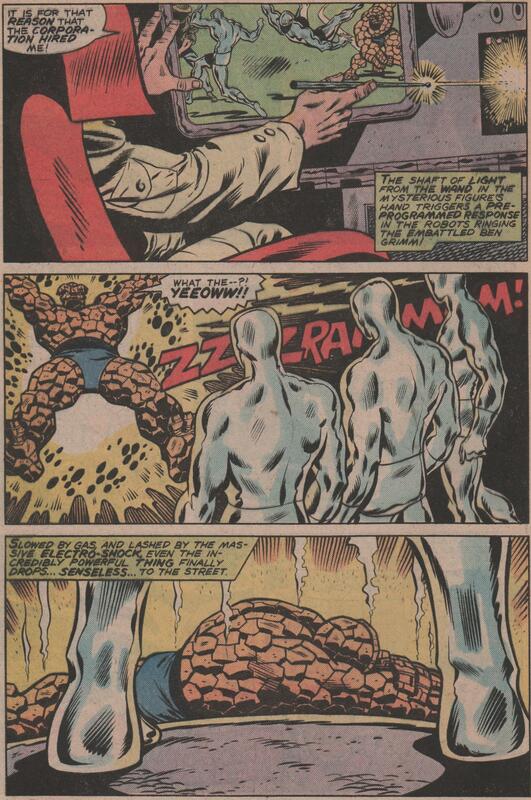 And let us not forget the awesome cover by Ron Wilson, Joe Sinnott, and Irv Watanabe! This is one of those kooky issues that really is a great read. 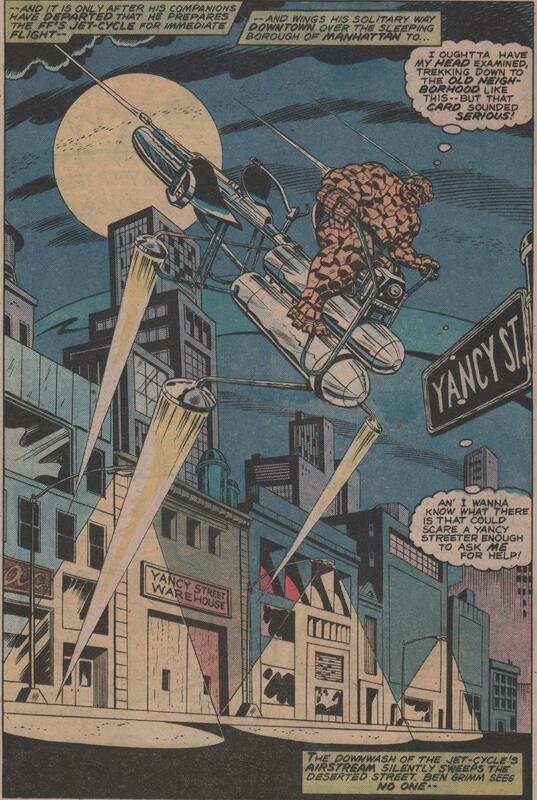 You get a fantastic heart-warming scene in the beginning with the FF and Ben, then some solid action with the Yancy Street Gang and robots, which are operating under the influence of a quirky villain like the Machinesmith. It’s all just perfection. It’s a no-brainer to grab this issue! Enjoy (and since I’m a day late with this post, look for part 2 of this story, later today) !